From an unlikely source yesterday came a massive indictment of the military for allegedly aiding killer herdsmen in the country. “The armed forces are not neutral. They collude; they collude; they collude with the armed bandits that kill people and kill Nigerians. They facilitate their movement. They cover them,” Danjuma, an ex-defence minister said yesterday in a rare outburst. He spoke at the maiden convocation and 10-year anniversary celebration of the Taraba State University (TSU), Jalingo. He is from Taraba, which along with Benue and Adamawa, have borne the brunt of the herdsmen attacks. Responding to remarks by the university’s vice chancellor, Prof Suleiman Bagoro, moments after an honorary degree was conferred on him, the former chief of army staff said: “I wish I was asked to donate something more relevant to the university than a sports complex I was asked to. I would have loved to donate artificial intelligence to the university. “But being as it is, I will make my own pledge. I pledge to donate the sum of N100 million. “The orator referred to me as a politician. This is one profession I do not belong to, and I have no desire being a politician. Because, if I were a politician, I would not be saying what I am going to say to you all now. “When I arrived here, I watched the cultural display by the theatre and cultural department. It was fascinating to see the rich diversity of cultural heritage. “Taraba State is a mini Nigeria where we have many ethnic groups living together peacefully. “But the peace in this State is under assault. There is an attempt at ethnic cleansing in this State, and of course all the riverine states of Nigeria. “We must resist it. We must stop it. Every one of us must rise up. The armed forces are not neutral. They collude; they collude; they collude with the armed bandits that kill people and kill Nigerians. They facilitate their movement. They cover them. “If you are depending on the armed forces to stop the killings, you will all die one by one. “This ethnic cleansing must stop in Taraba State. It must stop in all the states of Nigeria. Otherwise Somalia would be a child’s play. “I ask every one of you Nigerians, to be alert to defend your country; defend your territories, because you have nowhere to go. “Thousands have been displaced from their homes which have been destroyed. Many, injured, are still hospitalised. Farmlands have been lost. Hunger is looming. 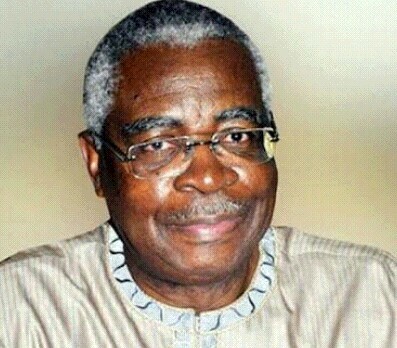 Danjuma’s indictment of the military came on the heels of a similar allegation by Amnesty International (AI). The international human rights watchdog, in a January 29, 2018 statement, said little or nothing was being done to curb the mayhem by the herders. The statement signed by its country director, Osai Ojigho, said: “The Nigerian authorities’ response to communal violence is totally inadequate, too slow and ineffective, and in some cases unlawful. “Clashes between herdsmen and farmers in Adamawa, Benue, Taraba, Ondo and Kaduna have resulted in 168 deaths in January 2018 alone. “Hundreds of people lost their lives last year, and the government is still not doing enough to protect communities from these violent clashes.